VOTE: 2019 SA Car of the Year battle - which of these top models do you think deserves the coveted title? WATCH: 2019 SA Car of the Year finalists - which top car gets your vote? 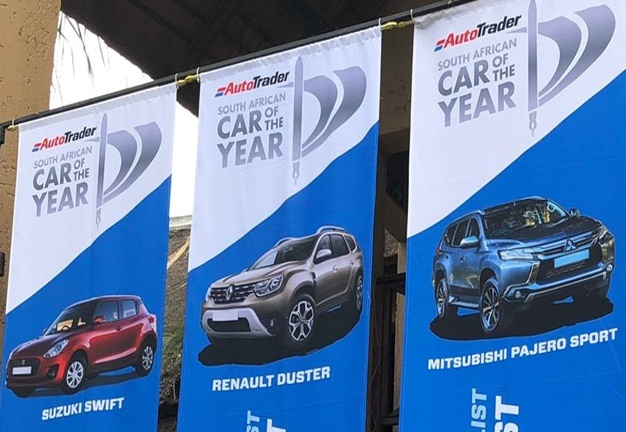 The finalists for the 2019 SA Car of the Year has been announced - which of the 12 models competing do you think deserves the coveted title? The list comprises vehicles from Italy, Japan, Korea, Germany, France and Sweden and, in keeping with the diverse South African automotive landscape, it covers many vehicle types from hatchbacks to luxury SUVs. Vote for your top model in our annual readers poll. 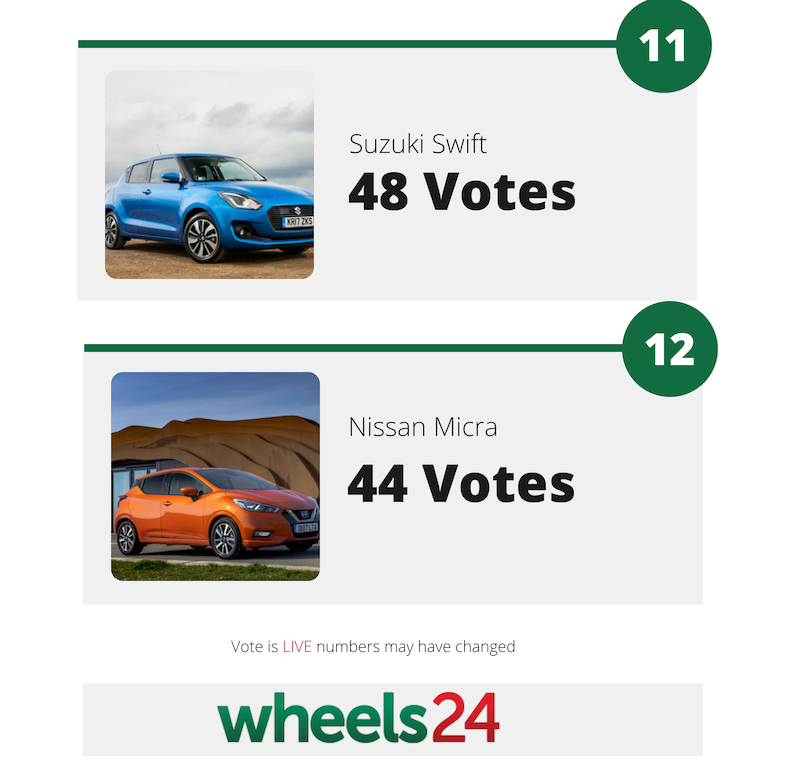 Suzuki's Jimny took an early lead in our annual Readers' SA Car of the Year poll with 440 votes, while its sibling, the Swift, is trailing in the bottom two. The Honda Civic Type R (406) and Volvo XC40 (372) are second and third currently. It's still early days for the poll as the winner will only be announced in 2019. Wheels24 will run our annual Readers' SA Car of the Year competition poll for the finalists. Vote here. What's more you can vote as many times as you want!